How do we begin to understand and upgrade the modern “genders roles” into our now society? How do you know you’re out of balance? How do you come back into balance? Like knocks us over, how do we keep coming back into balance. Dr. John’s tragic loss and grieving over his beloved wife’s passing last year. Knowing what is “left and what is right” ? What to do when you’re suffering. If you realize you are out of balance hormonally, should you take hormones? MSG - no longer needs to be on labels!! 😡 WHA? Culture needs to support us in being AUTHENTICALLY who we are. PUMP THAT PELVIS!! 🕺 YAS! Find YOUR OWN unique balance. John Gray is the author of the most well-known and trusted relationship book of all time, Men Are from Mars, Women Are from Venus. USA Today listed his book as one of the top 10 most influential books of the last quarter century. In hardcover, it was the #1 bestselling book of the 1990s. Dr. Gray’s books are translated into approximately 45 languages in more than 100 countries and continues to be a bestseller. Dr. Gray has written over 20 books. His most recent book is Beyond Mars and Venus. 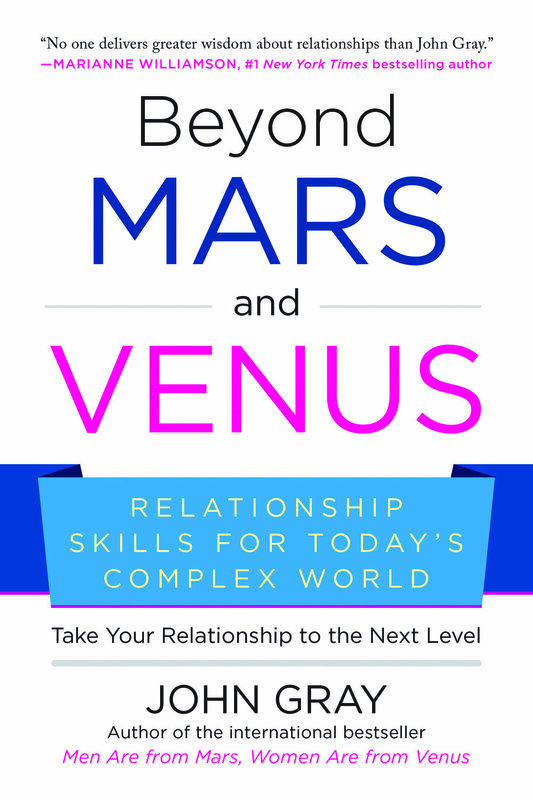 His Mars/Venus book series has forever changed the way men and women view their relationships. John helps men and women better understand and respect their differences in both personal and professional relationships. His approach combines specific communication techniques with healthy, nutritional choices that create the brain and body chemistry for lasting health, happiness and romance. His many books, blogs and free online workshops at MarsVenus.com provide practical insights to improve relationships at all stages of life and love. An advocate of health and optimal brain function, he also provides natural solutions for overcoming depression, anxiety and stress to support increased energy, libido, hormonal balance and better sleep. He has appeared repeatedly on Oprah, as well as on The Dr. Oz Show, TODAY, CBS This Morning, Good Morning America, and others. He has been profiled in Time, Forbes, USA Today, and People. He was also the subject of a three hour special hosted by Barbara Walters. John Gray lives in Northern California with his wife, Bonnie. They have been happily married for over 30 years and have three grown daughters and four grandchildren. He is an avid follower of his own health and relationship advice. 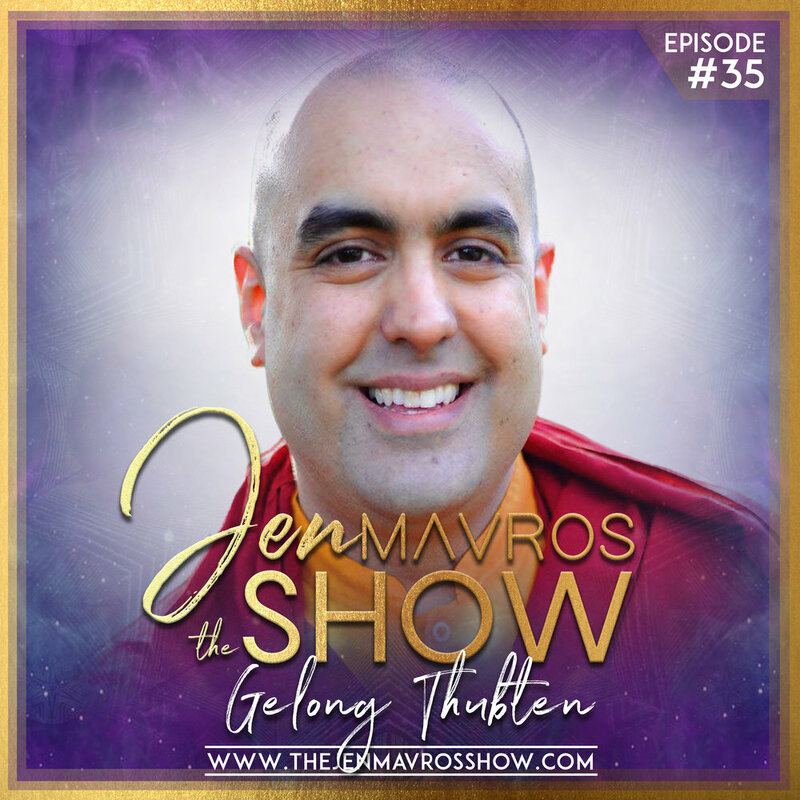 In Episode #35 on The Jen Mavros Show, we deepen into the understanding of Forgiveness and Mindfulness led by Tibetan Buddhist Monk, Gelong Thubten. After he beautifully guides us through a meditation, we begin to unpack how one can forgive and really what mindfulness is. Thubten is leading authority in teaching mindfulness and was the meditation consultant on the set of Marvel's latest movie, Dr. Strange, where he trained Benedict Cumberbatch and Tilda Swinton in meditation techniques while they were filming. He runs three training centres, has lectured on Buddhism and meditation at the top universities and travels globally sharing his sacred wisdom with others. Truly a heart-expanding episode, that you can't miss!! Gelong Thubten is a Buddhist monk, starting 24 years ago at Kagyu Samye Ling in Scotland, Europe's oldest and largest Tibetan Buddhist monastery. He has spent over six years in intensive meditation retreats, the longest of which was 4 years in seclusion on a Scottish island, and has been trained by some of the world’s greatest masters of meditation. Thubten specialises in teaching mindfulness meditation internationally, in businesses, hospitals, schools, universities, prisons and addiction counselling centres. He works with major clients such as Google, LinkedIn, Lloyds Bank, HSBC, Deutsche Bank, Siemens, Accenture, the NHS, Clifford Chance and Linklaters, and has lectured at Facebook HQ in the UK. The funds raised by his work go to charity, to build mindfulness training centres which benefit many people. Thubten runs three of those centres in the UK. Thubten was the meditation consultant on the set of Marvel's latest movie, Dr. Strange, where he trained Benedict Cumberbatch and Tilda Swinton in meditation techniques while they were filming. He has lectured on Buddhism and meditation at the universities of Oxford, Helsinki and Cardiff. Thubten has recently been signed as an author for Mindvalley, after speaking at their A-Fest conference, and he has also spoken at Wisdom 2.0 Europe, as well as Me-Convention for Mercedes Benz, which was Europe’s first SXSW Festival. Thubten designs and delivers mindfulness programmes for 4th year medical students at the National University of Ireland, and he has lectured at Parliament on the Channel Islands. He and the neuroscientist Ash Ranpura have contributed to Ruby Wax’s latest book, “How to be Human, the Manual”, published in 2018 by Penguin. Thubten is the co- founder and trainer for the meditation app Samten, to be released in early 2018 along with a version for children.